Celebrate the Harvest and the conclusion of Black Soil's Farm Tour and Farm to Table 2017-18 season in style! Join vendors, farmers, and culinary artists from across the state of Kentucky as we elevate our strong agricultural heritage and legacy! 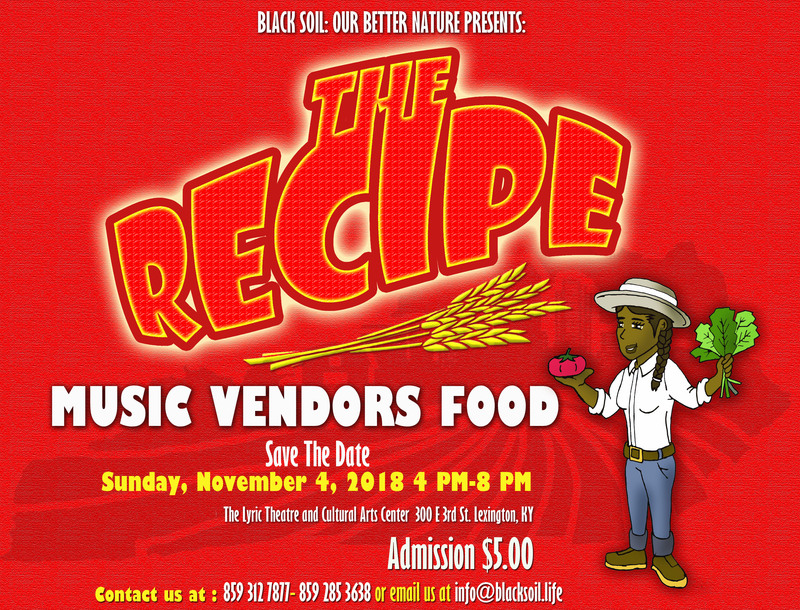 In partnership with VisitLEX, our 15 county regional tourism and visitors bureau and the historic Lyric Theatre and Cultural Arts Center, Black Soil places these businesses and their proprietors front and center in the East End of Lexington!